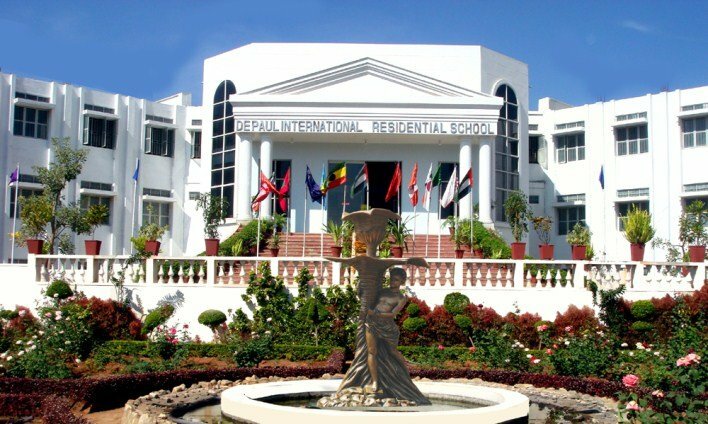 DPIRS Campus was established in 2002 in the auspice of a beautiful campus by Rev. Fr. Jose Aikara, C.M. The school was blessed on 8th June, 2003 by Rt. Rev. Dr. Thomas Antony, Bishop of Mysore. The first academic session begun on 16th June, 2003 from LKG to Std. VIII in ICSE syllabus and 1st year PUC in state syllabus with a total strength of school was 123. The school got the provisional affiliation from the council on 29th January, 2004 and the permanent affiliation on 8th May, 2007. It also obtained the Minority Educational Institution Certificate from the Government of India on 15th April, 2009. Now the school has strength of 420 students from 14 different countries. Through the hard work of Rev. Frs. Jose Aikara, Sebastian Vettickal, Johny Koikkara, Paul Parackal, Shalby Thelliankal, Jaison Ambadan and Joesph Ponmalkkunnel, DPIRS stands out to witness to the technological development in educational scenario having a vibrant international community of students. It has a vast area for sports and it is beautified with green flowering plants all over. In 2008, it enhanced itself with a multi-faceted auditorium. In 2006, to facilitate the seminary formation of minor seminarians and to complete their pre-university studies in D.P.I.R.S., the province built a minor seminary as part of the DPIRS community. At present, Rev. Fr.Roy Peediackal is the rector for 32 seminarians, doing their +2 studies. Long cherished desire of the province to start higher education came to its fruition in the year 2003 by starting De Paul College, Mysore. Then provincial Fr. C. Wilson formally inaugurated the college and Fr. Baiju Chittuparamban was appointed as the first principal.